Not only can you weld faster when you can see more clearly, but your entire movement around your workpiece can become more efficient when you’re not constantly having to raise and lower your shield. The team at 3M Speedglas have studied welders and their increased efficiency when using auto-darkening welding helmets for almost four decades. If profitability is defined in terms of protection, one day is enough. But while “protection” can sometimes be difficult to measure, efficiency and weld quality are much easier to gauge. Studies show that welders can increase efficiency by up to 50% when using Speedglas Welding Helmets as opposed to passive welding helmets. Not only can welders literally move faster when they can always see, they also move more efficiently, placing electrodes more precisely. Most “bad weld starts” can be eliminated. Fewer bad welds means less time grinding and higher overall quality levels. What Other Welding Safety Equipment Pays for Itself In 3 Months? The shorter the weld, the greater the productivity increase. Not surprisingly, applications requiring lots of tack welds have the most to gain from auto-darkening technology. Since most welders do a combination of tack and longer welds, we will use a conservative, generalised productivity gain estimate of 15%. So, for example, if you’re paying a welder $30 per hour, the top-of-the-line Speedglas 9100XXi FX Air with 3M Adflo Powered Air Respirator has the capacity to pay for itself in less than three months. 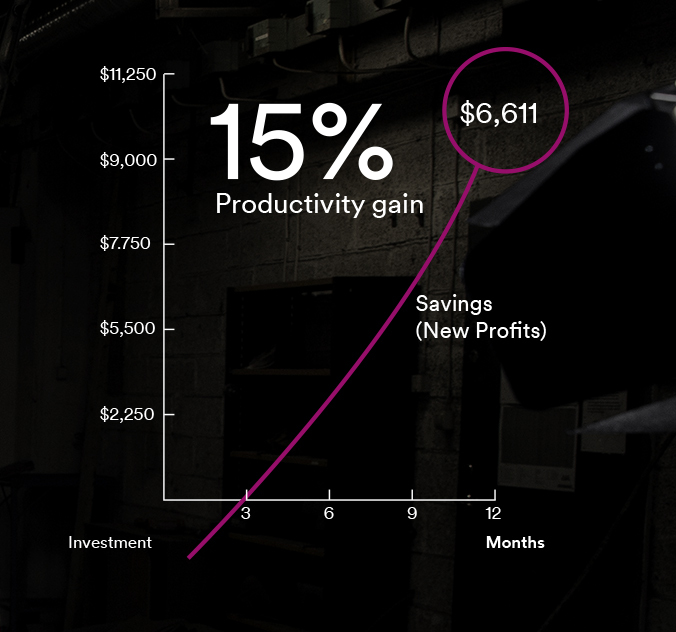 In one year, the productivity gain may be potentially as high as $6,611 in savings per welder. With the introduction of True-View optics to the Speedglas 9100 Welding Helmets and Speedglas 9002NC Welding Helmet, welders can now see in high definition with a much wider spectrum of colours. By allowing more visible light to come through the lens, True-View technology gives a clearer view, meaning welders can now see edges and contours with more colour, contrast, and clarity. A clearer view of the workpiece and weld pool means you can consistently produce higher quality welds. This can assist in reducing the need for re-working and decreasing bad starts – meaning the reduction in cost of scrap alone could be significant. The Speedglas range offers up to 5 levels of protection to suit most welding tasks, including eye, face, head, respiratory and optional hearing protection. Choosing the right Speedglas welding helmet and level of protection for your environment helps to minimise the risk of injury or illness. Less down time means less time off work and more time spent producing quality welds! These are just a few of the ways that Speedglas welding helmets help pay for themselves! Use the links below to find out more information about Speedglas welding shields and welding respirators.